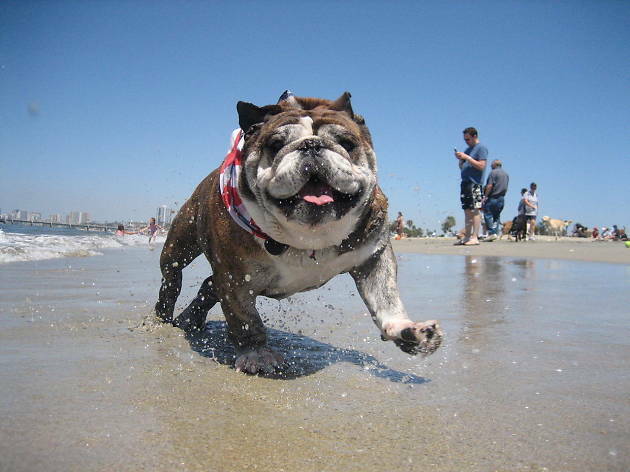 For a generally pooch-friendly paradise, Los Angeles is pretty lousy when it comes to dog beaches. In fact, this four-acre waterfront spot is the only legal off-leash dog beach in LA county. 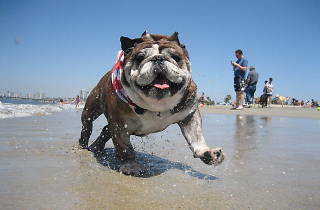 The park is named after the area's late local canine celebrity, Rosie the English bulldog. You can easily spot the dog-friendly area by the colorful "Dogs at Play" silhouette. This place is AWESOME. I went here just to get some sun and some positive vibes from all the four-legged ones (actually there was a very cute three-legged dog too). I love the idea of having a beach area where dogs can play freely. The water is not the best, but it's ok for a quick dip while playing with the dogs.